Curwen Primary School is an Ofsted outstanding provider of education for children aged 3-11. 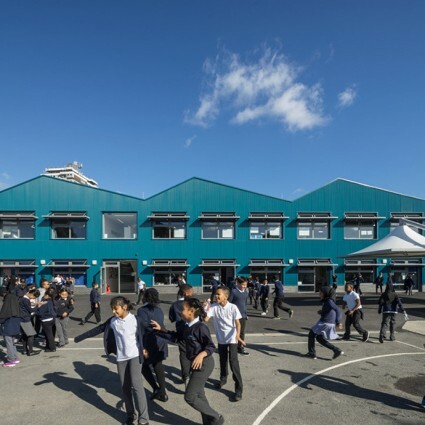 A new, two-storey building expands the school to a 4-form entry across all years by providing 1,063sqm of self-contained teaching and ancillary spaces for Years 5 and 6. 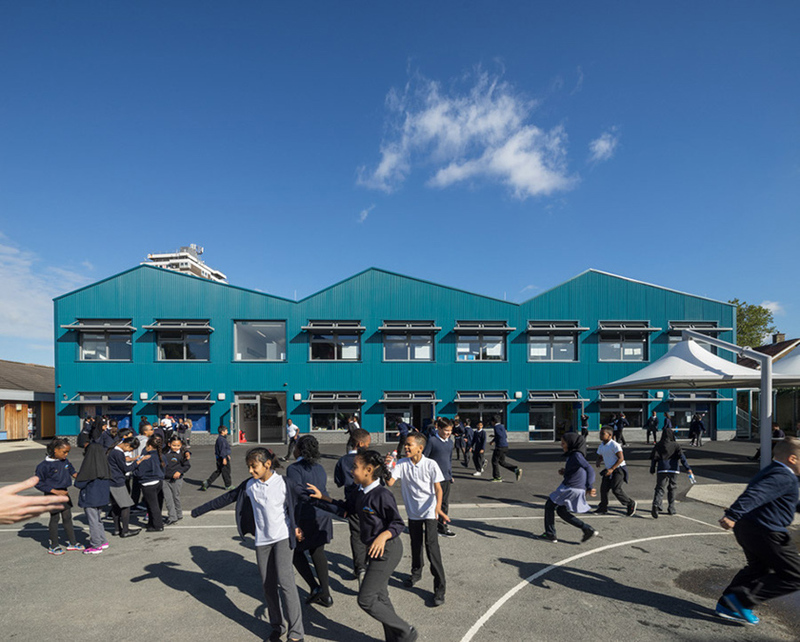 Its colourful, profiled metal cladding and saw-toothed roof shape stand out from the existing school buildings, the aim being to create an exciting building that pupils look forward to graduating into as they progress through the school. Aligned with the northern boundary of the site, the roof steps down towards the street and the scale of the houses opposite. The new building links to the existing school by a single storey glazed structure. Our goal was to provide an aspirational and attractive building to inspire pupils, staff, parents and the community it serves.